That’s what I said. TO. DIE. FOR. I can say with some certainty that those words have never been uttered before in the history of man. Let’s face it…think of all the vegetables that have a bad connotation, especially for children. Turnips, greens, beets. ….and of course. …brussels sprouts. 1. Fill a pot with enough filtered water to cover the sprouts and cook over med. heat until tender. 2. 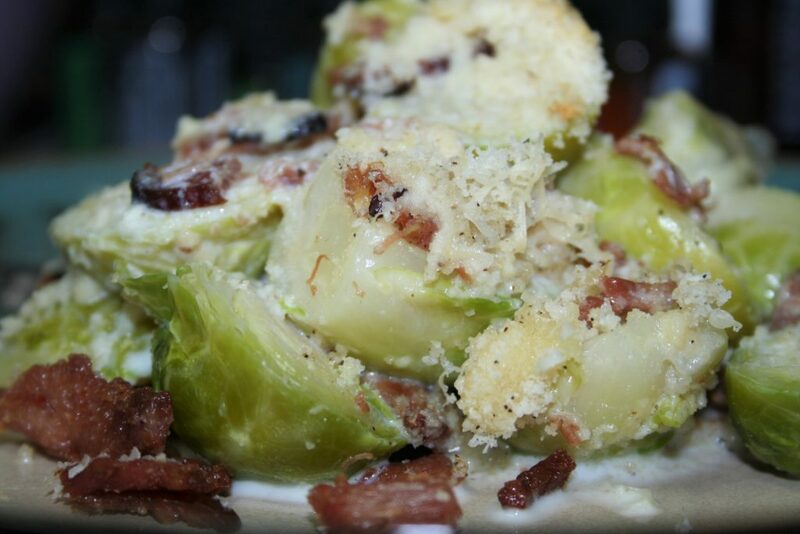 While brussels sprouts are simmering away, cook the bacon. I like to cut my bacon into little pieces with kitchen scissors while I hold it over the pan (the cut pieces fall into the pan). But you can also chop it up after its been cooked. I salt and pepper the bacon for the whole dish, I have found that it carries the flavor throughout the dish very well. Make sure to cook it to a crispy texture so it will hold up in the cream. 3. 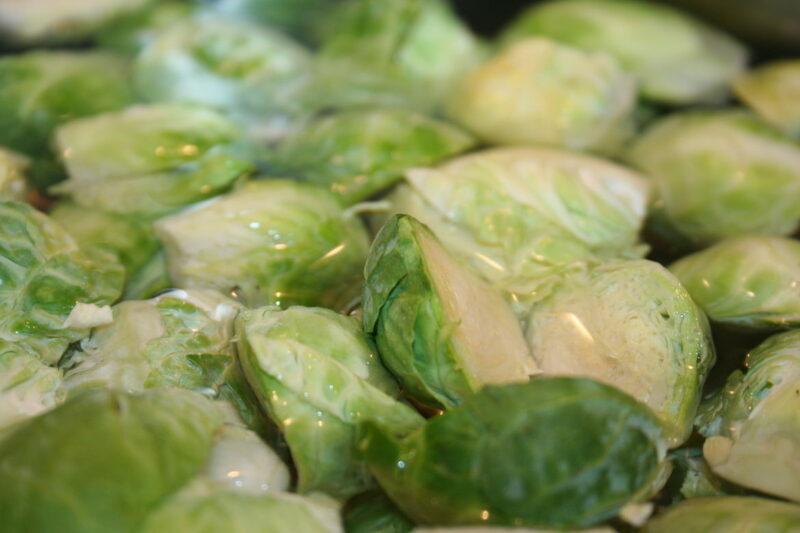 Once the brussels sprouts are tender drain the water. Place them in a 9×13 baking dish and cover with cooked bacon. 4. Cover with cream, almond meal and Parmesan. Bake in the oven at 425° for 10-15 minutes until golden. It’s that simple. And my eight and six year old asked for seconds tonight. No lie. If that is not enough to convince you to try them let me quote my husband. …”I never thought I would chow down on brussels sprouts”. And there you have it folks. A former “sprout hater” and my most honest critic… pigged out. I mean come on. It’s cream, bacon and Parmesan. …it’s like heaven in a baking dish. Much love and brussels sprouts friends!